Vigilant’s shared day charter; small groups & big adventures! 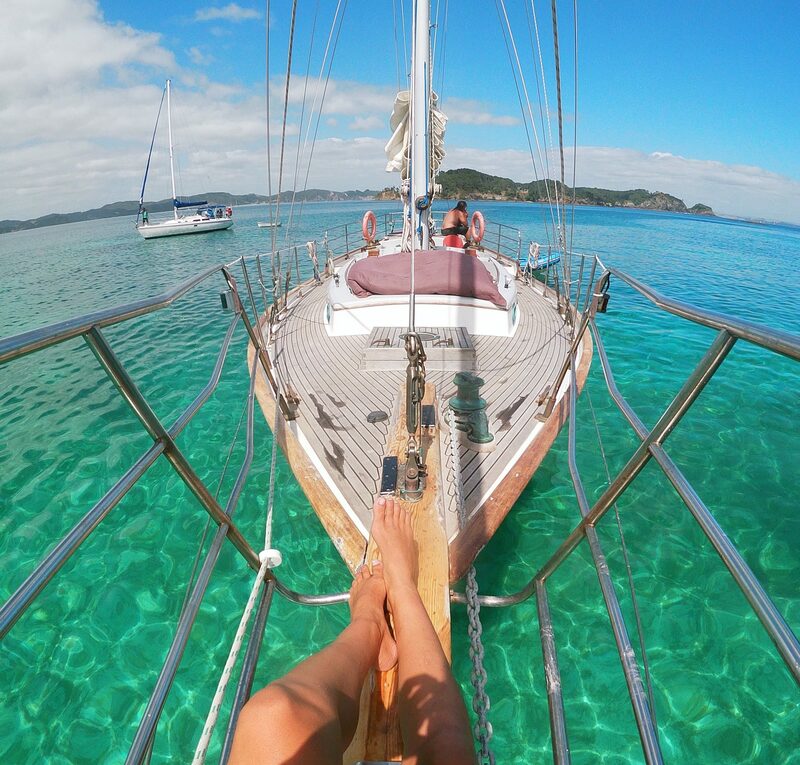 Your Boat Charter in the Bay of Islands will start with a relaxing morning sail. Afterwards, we will choose one of the 144 islands to stop at and explore. You have the option to spend your afternoon strolling along the sandy white shoreline, relaxing on the beach or, if you prefer, taking your pick of the water activities offered. Vigilant carries kayaks, and snorkel equipment for you to take full advantage of during your trip. Our fully equipped sailing yacht offers you the very best in quality comfort and relaxation. Lunch, enjoyed on the yacht deck or as a picnic on the beach, is hand prepared for you by Chef and Skipper Nik. 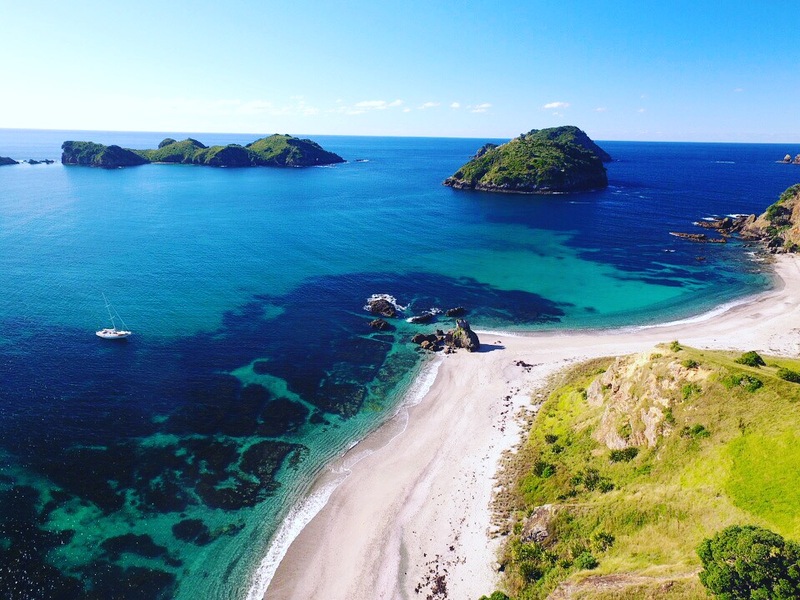 Dolphins, penguins & seabirds are frequently sighted and the scenery while sailing in the Bay of Islands is spectacular so remember to pack your camera. Ask Nik about Shellfish gathering as you can try your hand at catching lunch! Includes a delicious lunch made by our onboard chef. If you’re a vegetarian or prefer gluten-free, please let us know. It’s not a problem! You will have full use of all toys on deck, so don’t forget your swimming costume and sunblock! We depart Russell Wharf at 10am and return at 3:30pm. We depart Russell Wharf at 10am and return at 3.30pm. 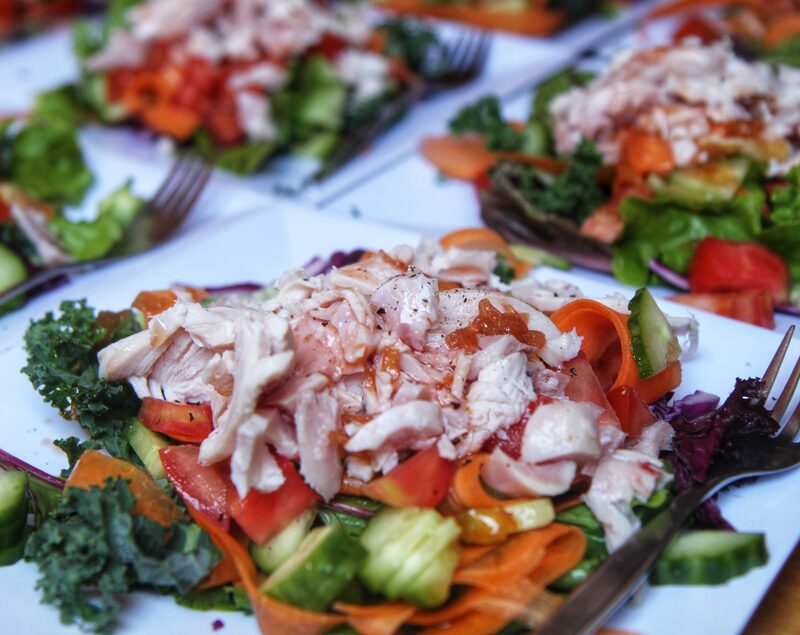 An example of our fresh lunch offered on board, made from local ingredients! Vigilant anchored up at Moturua Island.